Vince prides himself on working hard for his clients and making sound financial decisions to help them build wealth. Vince grew up in Arlington, VA and moved to South Carolina to study finance at USC. Since graduation, he’s helped clients in real estate through financing, locating, and selling their real estate. Vince understands that many clients consider their real estate decision one of the biggest of their lives. He enjoys helping them identify the details of the transaction and use time-tested financial principles to maximize their wealth. 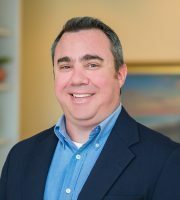 Vince lives in James Island and enjoys selling Folly Beach, James Island, and Downtown Charleston real estate.